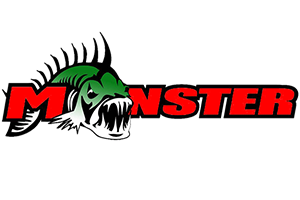 I am by no means any super Pro Bass Angler, but Ive had a lot of Tournament success in recent years and I want to share what has made me better and hope it can help you be a better Tournament Bass Angler. We all start out as Beginners or Rookies or Future pro’s. We develop a love for fishing and a love to compete. Throw a high horse powered bass boat in the mix with a cool looking gel coat and were hooked! Blasting off against 60,70-230 boats is a serious endorphin rush! You against the world the weather the water and oh ya the fish! Once a Angler fishes a few events they get addicted to Tournament Bass fishing. I did! Very few Anglers ever make it to the top level of Bass fishing and fish as a “Pro” for a living. Many of us can live the dream regionally near home and are happy to do so. With kids a full time job and few sponsor dollars available for a weekend warrior we are limited in our opportunities. I have been tournament fishing for over 20 years now. I love it! I love meeting new people and love to compete. Along this journey I started at a club level. We caught fish, but rarely got in the money or won a Trophy or some Wood! The same guys always did well. We new we were good anglers, but couldn’t get to the top of the club event level. Then you meet new people and learn about events with a higher winning potential. So you say sign me up im in! And much like the club level you fish well, but never end up in the top level of the circuit. The same guys always do well?? When we fish at the club level or regional semi-pro level it is the last time we will ever get info on how these Anglers did better than us. You must stay to the end of every event you fish to learn and get better. In time you will find out what won the events or what the top 5 teams did to out fish the rest. If you leave the event early because you didn’t place well you are loosing the chance to get better! Stay, ask questions, hang out with those willing to talk, many Anglers love to brag! Heck I do! That’s how you learn! Take what you learn and go practice it, get better at it. When you tackle your weakness find another tournament tactic and get better at it. 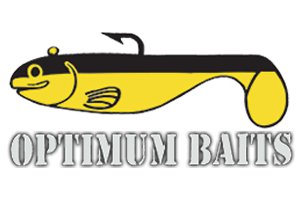 The more versatile you are the better you will become at Tournament Bass fishing at any level! Don’t get mad when a team does well, try to find out what they are doing that you are not! Now go get good at it. Many years ago I forced myself to practice Punching or heavy flipping. Its not that I couldn’t do it, I love to flip just not in the junk. If I can open water fish I would rather do so. By forcing myself to practice this and get better at it I Punched 25lbs in 15 minutes. That’s all I needed to do 1 time to get me to get over what I want to do and what I need to do at the right times. Drop shotting was an other one, Its not hard, I just didn’t like to do it. I would rather drag a jig or a 10” worm, but quickly I forced myself to improve at this tactic and believe me it has paid off! Get better at what you don’t like to do, it will make you a better Tournament Bass Angler. One big bit of advice I can give you is to take control of as many things as you can. This is one of the most important steps to becoming a better Tournament Angler. Make sure your line is new or in great condition. Always tie new knots. Always use new hooks. Make sure your boat is fully ready before you leave your house. Know the weather, the tide, the water level, the seasonal pattern you will fish and know the primary food source at that time of year where you are fishing! And as I have asked my partners on a few very sad occasions when the big fish gets off, did you have a trailer hook on? Being pre-paired is the best thing you can do that will improve your Tournament results as a weekend warrior. This one is tough, but invest in good quality products. Make sure you buy products that are proven tournament products. Have the right rod and reel for what you’re doing! A red crank bait just aint a red crank bait if it doesn’t work correctly. If a spinner bait doesn’t work properly it just wont catch as many fish. Bite the bullet and buy good stuff. Make sure you bring enough product that you do well with, do not run out! I have multiples of my favorite baits; I don’t want to run out. Time management. This is critical to your success in tournaments. This does not mean fish too fast. This means fish every second of the day effectively. Each time you start and stop do it quickly. This will add 1-25 more casts per day in every event. If you made 25 more casts in 5 events that is 125 more chances to catch a big one! It is a percentage game and you are improving your chances. If you are the non boater, are you getting ready to go quickly? When the boater puts his pole down and grabs the trolling motor rope that’s a big clue you need to be on the move. Timing is everything!! Think how many times in practice you pull up and first or second cast BANG you get a big one! If you manage your time in tournaments you will increase these odds in your favor. I do a lot of Salmon fishing and I get asked a lot “how come you hook so many fish?” I always answer because im a tournament Bass Angler! And then respond by saying I make more casts than the average angler. Make the most of your time and you will become a better Tournament Bass Angler and a better fisherman. I hope you can use some of these valuable tips to improve your time on the water and your success in your next Tournament.